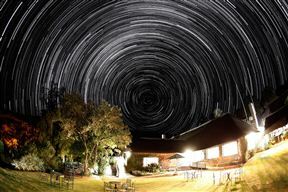 The Cavern is a holiday resort offering accommodation in the KwaZulu-Natal region. Named after the Cannibal Cavern, it is situated on 3000 hectares of private mountain reserve adjacent to the Royal Natal National Park Amphitheatre - a World Heritage Site.This stunning full-board Drakensberg resort has won numerous awards and accolades. 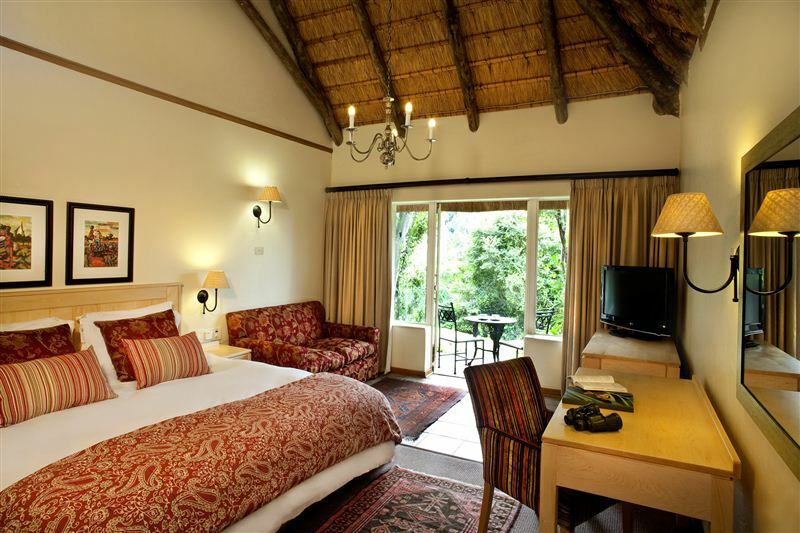 Superior suites, family rooms and standard accommodation options are available, all with spectacular views of the surrounding valleys, forests and mountainside.The thatched accommodation and facilities blend beautifully with their natural surroundings. The Cavern is home to numerous bushman paintings, 213 species of birds, 150 species of trees and a great variety of wild animals.Allow our friendly staff to welcome you to our dining room where a Table d&apos;hôte menu offers a wide choice at every meal. 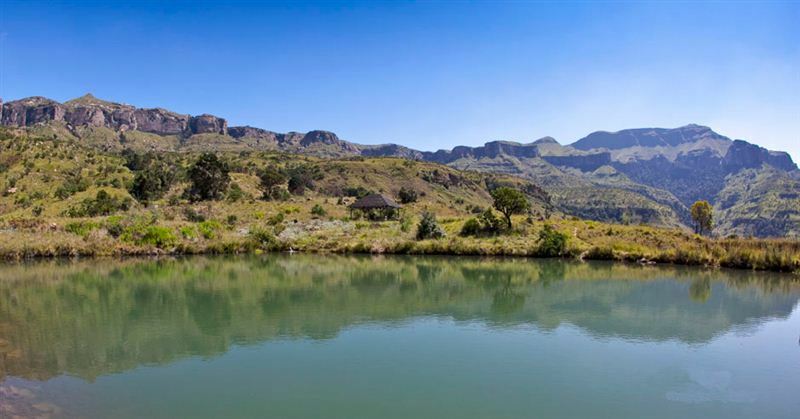 Weekly functions include Lunch in the Sun, Boma Buffets and Potjie Pots. 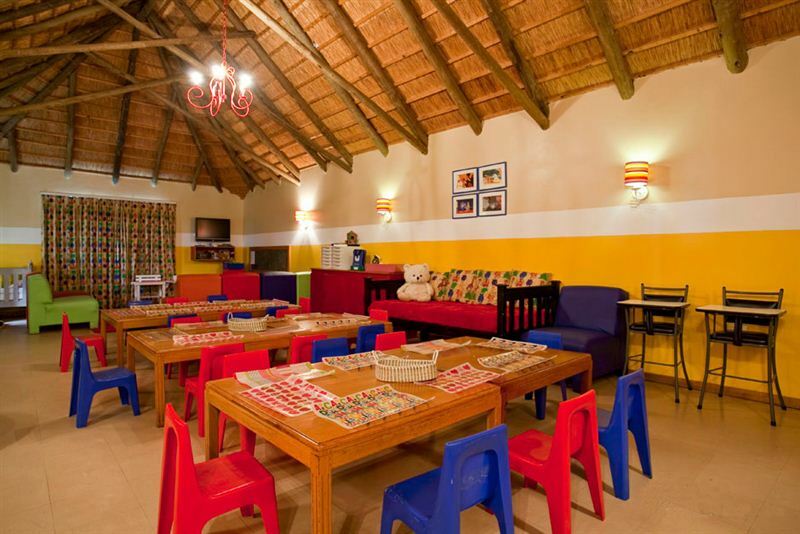 A range of beers and a selection of South African wines are available. 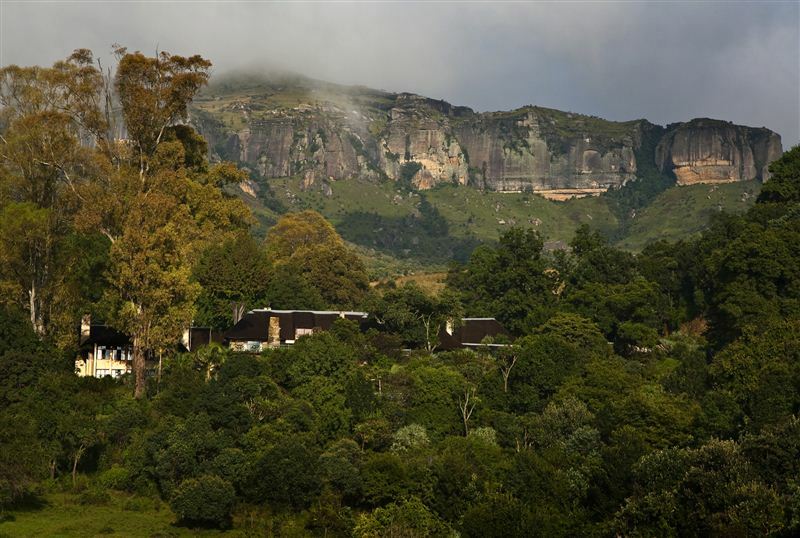 The Emaweni Cave Bar is fully licensed, and operates between 12h00 and 23h00.All our guided walks visit places of beauty and historical interest. 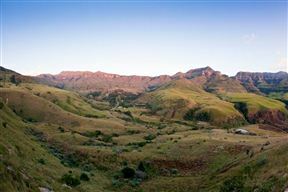 Lone Rock, with its exquisite bushman paintings is one such place. We offer guided horse riding trips for beginner and expert riders alike. 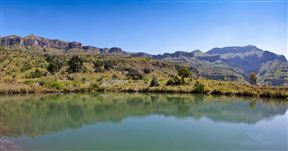 Enjoy breathtaking scenery in a temperate climate and tranquil surroundings. 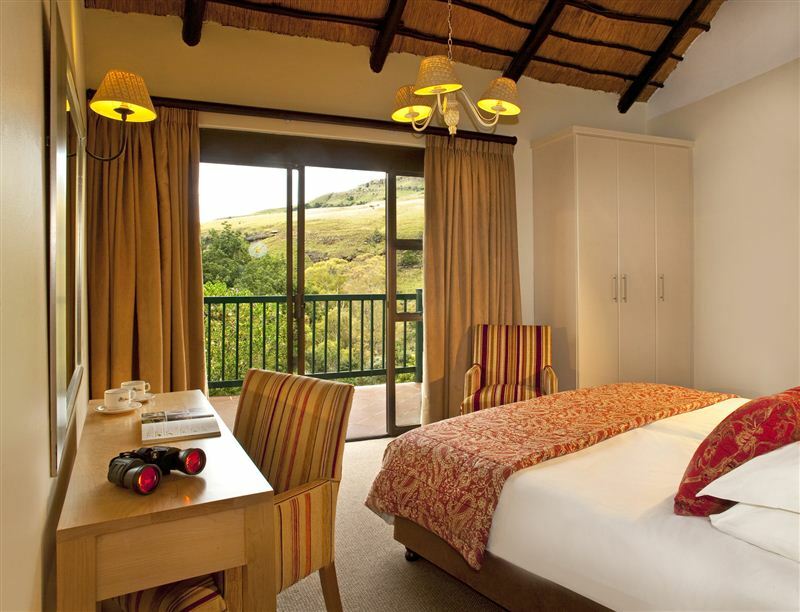 Standard rooms have king size or twin beds on request with bath & shower en-suite. No TV. Limited mountain view. 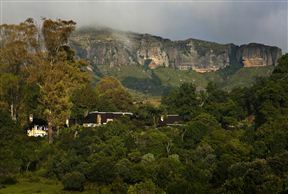 Set in lush indigenous landscapes, surrounded by a vibrant mix of local plants, and the sounds of many birds. 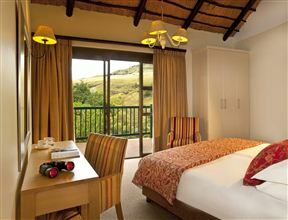 Standard rooms have bath & shower en-suite, limited mountain view. The interleading unit has two bedrooms, one queen bed and 3 singles/bunk bed, interleading and sharing a bathroom.Please note that this room should be occupied by at least 3 pax. Bedroom has king/twin.beds and en-suite bathroom with bath and shower. Tea/coffee making facilities, a TV and bar fridge. 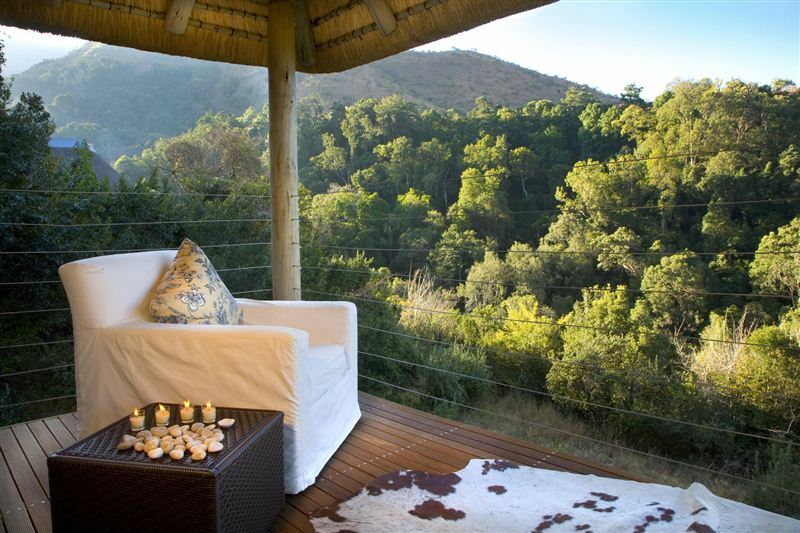 Private patio overlooking the fern forest to soak up the sun and sounds of the forest streams in our exquisite mountain wilderness. 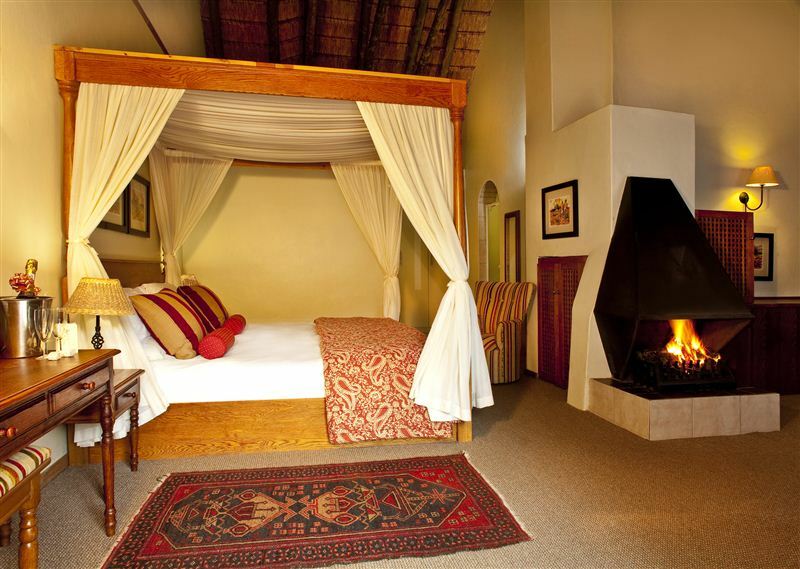 Suite has a four-poster bed and en-suite bathroom with bath & shower. 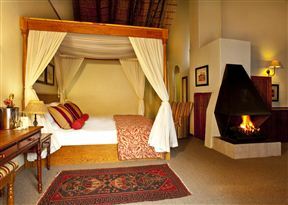 Fireplace, TV, bar fridge, tea/coffee making facilities. Private patio overlooking fern forest to soak up the sun and sounds of the forest streams in our exquisite mountain wilderness.